It has often been mooted that Henry IV Pt 1 should arguably have been re-named Sir John Falstaff, such is the impact of the legendary bon-viveur upon the history play and Greg Doran’s production at the Royal Shakespeare Theatre only endorses the argument. Commencing with the spirit of Richard II gazing down from the gods (a robed and long-haired David Tennant lookalike) we find Jasper Britton has assumed the mantle of Bolingbroke, opening the play as the newly crowned king. Britton’s performance is assured and he convincingly presents first, as a father initially struggling with his son’s errant Eastcheap ways and later as a monarch grappling with the destructive forces at work amidst his realm. Alex Hassell is Hal, giving a performance of the Henry V (to be) that defines the young royal’s energy, vivacity and nobility far better than any recent stage portrayal of the warrior king. 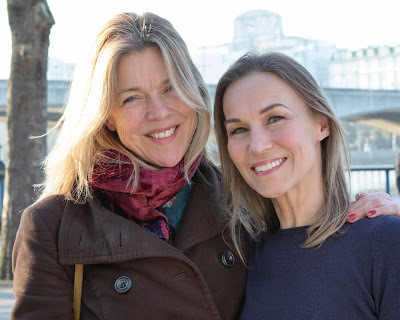 The robbery at Gadhill and Hal’s banter with Sir John is royal japery at its finest, yet Hassell also defines both mettle and honour in the play's later scenes, defending and loyally supporting his father. The young actor displays astonishing talent and of his generation he is unquestionably “one to watch”. Matched against him is Trevor White’s Hotspur. Envious of Hal’s preferment and bearing a chip on his shoulder, Hotspur is one of Shakespeare's more unforgiving roles. White’s energetic effort is hampered by an overplayed chip, trying just a little bit “too hard”. 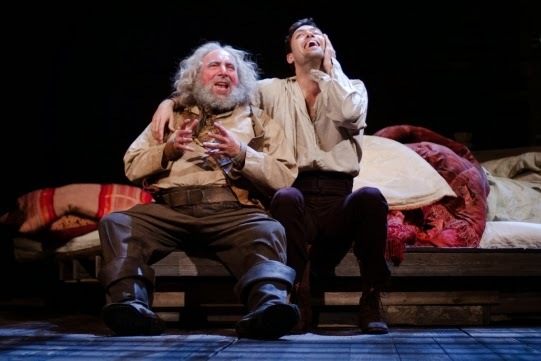 The jewel in this production’s crown however is unquestionably Antony Sher’s Falstaff. A corpulent, drunken profiteer, as likely to be found in the arms of the pox-ridden Mistress Quickly (a wonderfully be-scabbed Paola Dionisotti) as to be gaming with the Prince of Wales. Sher relishes Falstaff’s every moment and that his sozzled patrician Falstaff is so at ease with the Eastcheap cutpurses only adds to the color of his character. With a perpetually unpaid bar bill and the quickest of wits, Sir John precurses the latter day comic creations of Arthur Daley or Norman Stanley Fletcher, each a quintessentially lovable rogue. One of our finest actors, Sher’s “What is honesty?” soliloquy is an outstanding delivery, with so many of his lines being pathos-laden comedy gold. A good comic must master timing as well as voice and physical presence, Sher nails the lot and one is unlikely to see a finer Shakespearean performance this year. Other notables are Joshua Richards with a wonderfully pagan Owen Glendower and Simon Thorp's Rickman-esque Lord Chief Justice. The RSC is again at its creative best. Terry King elicits breathtaking fightwork (Sean Chapman’s scottish Douglas menaces with the mace) whilst Tim Mitchell’s lighting and Martin Slavin’s sound design effectively suggest both location and time. A finely produced treat, Greg Doran’s interpretation is thoughtful, perceptive and hilarious. Plays to 6th September 2014, then tours.